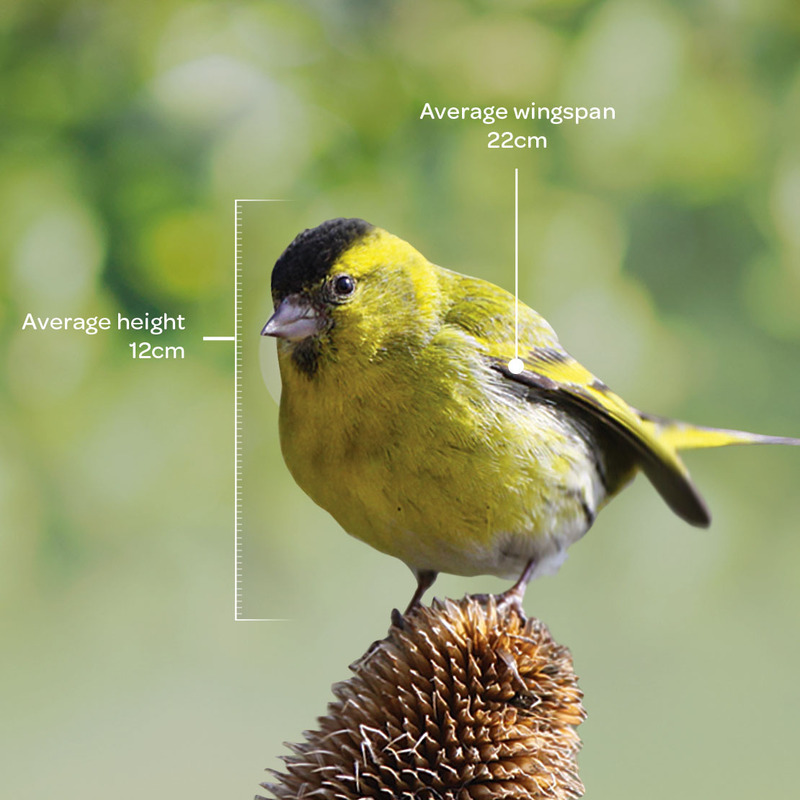 Siskins are much smaller than Greenfinches. Adult males have black crowns and bright yellow and black plumage. Females don't have the black crowns and have duller colourings. Most of the UK, some migrate to the south in winter. Siskins breeding season is between April and August. They typically lay two broods of 4-5 blue/white eggs with brown spots. Nests are made of twigs, rootlets and grass and are usually located high in the branches of Conifer trees.